Polybloggimous: Instant Gratification. Momentarily Delayed. Dammit! Instant Gratification. Momentarily Delayed. Dammit! So I'm a big fan of Elizabeth Moon's books. Among them, I really enjoyed The Deed of Paksenarrion Trilogy. And a few days ago, I discovered that after a 21 year break, she had gotten back to the series...expanding it to a fourth book. 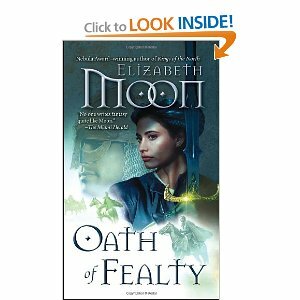 So I rushed right out (figuratively speaking) and bought Oath of Fealty for my NookBook. You can't really "click to LOOK INSIDE"; it's just part of the picture I snarfed off of Amazon. Anyway, I pretty much devoured the book. Enjoyed it immensely. 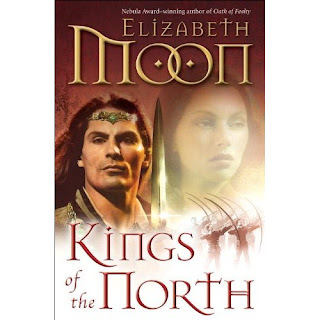 And then I scampered right back over to BN (cause I've got a Nook...duh), and bought the NEXT book...Kings of the North. Excitement and Huzzahs descended upon Brooklyn. Until I noticed I had actually pre-ordered the book. D'oh! It could be worse. It's publication date is March 22nd. Which means, assuming they're working in the Eastern Time Zone, I'll be downloading at 12:01 and reading at 12:03. If they're in the Pacific Time Zone, heads will roll. Update: It took BN until almost 12:30 A.M. to make my book available. I'm pretty sure I've got a multi-million dollar lawsuit opportunity here. Oh, the pain! Oh, the suffering! I'm finding the instant gratification aspect of Nook ownership much more enticing that I would have expected, much to my credit card's detriment. I'm a Mooney who hasn't read any Paksenarrion. I discovered her recently (several years ago recently) with the Herris Serrano series, and subsequent. Originally I didn't like the sound of "Sheepfarmer's Daughter" for some reason, not SciFi-y enough, I guess. 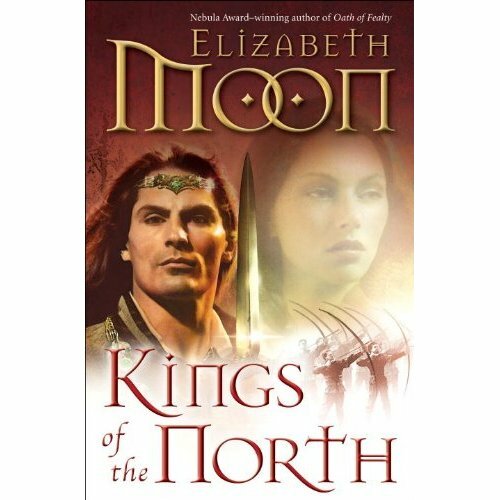 But having found Elizabeth Moon, I have her older stuff to look forward to. Just like having recently found Lois McMaster Bujold, I'm reading much Miles Vorkosigan. So, it's 12:28pm, are you reading yet?